So, here we go again. 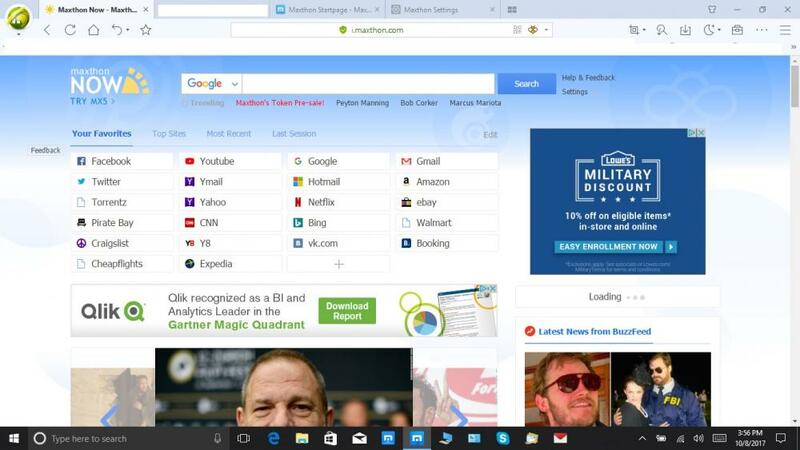 Although I use Quick Access, I also use the maxthon startpage as a "quick access" with links to all my favorite websites. After upgrading to 5.1.2.3000, I have lost all the links again. I kept a backup of the Local storage files imaxthon http_i.maxthon.com_0.localstorage and http_i.maxthon.com_0.localstorage-journal just in case of any issues. Now 5.1.2.3000 has changed them to http_pc-newtab.maxthon.com_0.localstorage and http_pc-newtab.maxthon.com_0.localstorage-journal. I sure would like to recover my imaxthon page links without rebuilding the entire page. Also, with the last two updates, gmail will not load in standard view. I am forced to html view or to go to Microsoft Edge to view Gmail in standard view. As I have mentioned many times before, I have used Maxthon since the mid 2000's and updates always were great updates. However since the late 4 versions, these updates have presented one problem after another. No browser should have these many issues and files that get disassociated in order to update the browser I want to keep the pages as I want them whether it be a guest account or a personal account and whether I use Maxthon as a startup page or if I use Quick Access, it should be a seamless update with options to leave everything just as it was on the last version instead of losing everything. It's a good thing I have a little PC knowledge otherwise, I would have quit using Maxthon a long time ago. The average pc user would never be able to manipulate files just to get something to work. Not sure what's going on, but I just did a quick test to confirm what I thought, and it still works as expected. So, what do you mean "works as expected". I lost all links on the imaxthon startpage after the update. If I remove/delete/rename the pc-newtab files and replace them with imaxthon , the startpage comes back with the links. When I shut down the browser and reopen it, the default links come back. I went through and re-created all my links manually in "Your Favorites" section of the startup page. I restarted MX5 and the links are all gone and back to the default "Your Favorites" Links Section. as in copying over the i.maxthon files brings back whatever links were there in the version they were copied from. You don't say what version you came from, just the version you updated to. Whether that has any bearing i'm not sure, but i can only work with the info given. I modified the page links using mx4.9.4.3000 deleting all but the top two rows. Then copied the i.maxthon files from 4.9.4.3000 to a new portable version of mx5.1.2.3000 and the image below is what shows. 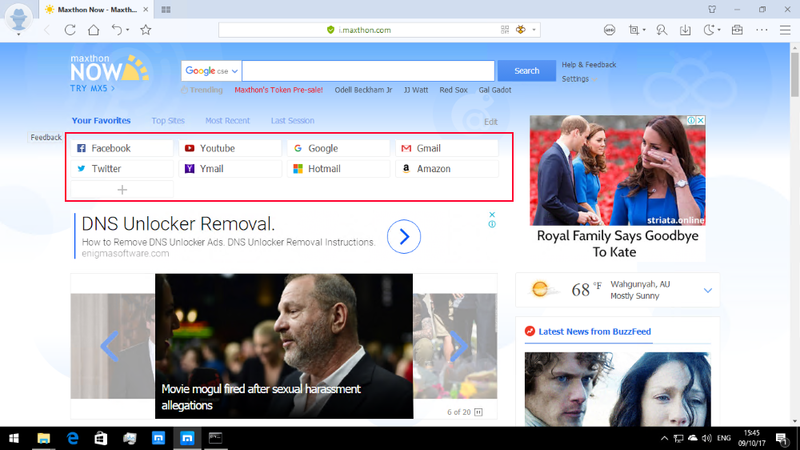 As said above, the newtab files are for the new Quick Access and have nothing to do with the i.maxthon webpage. If you recreated the links as you said and they're reverting to default then there is another problem. At first guess i'd say the files are read-only which i could replicate the issue where changes aren't saved. But that would mean that your links should have shown. Otherwise the files that you copied over from your backup/previous version are corrupt so Maxthon creates a new version because of it. Assuming you are using the correct files and there is nothing wrong with them, based on my testing the method to restore your data is still valid. Ok,, it must have been a failed install. I went back a couple versions, copied in the local storage files and all was good there. Updated and the install brought in the links. Now, Newsmax feeds buffer very often but not using Edge or Opera. Facebook live streams, chat comments do not update. I can enter a post in a live stream chat but other comments do not update. Is there a user string that might correct this? I have tried Explorer 11, Maxthon, Chrome, Firefox and Opera user strings. Same results on all of them. Is there a user string that might correct this? Don't use any of the live stream things, but i'm currently using the default UA and haven't run into any issues that i recall. Which is the default UA + an updated chrome version string - the maxthon string + OPR/ to fix some issues with embedded youtube videos. Where are you pulling the version numbers from for the strings when you update the string? From the websites for the browsers? I am also having a glitch on Facebook where I have to scroll up and down the page to get posts to display. I scroll to the bottom of the page and get a blank page until I scroll up and down until the posts load. Where are you pulling the version numbers from for the strings when you update the string? I think they're just random... just higher numbers than what the default was. I've noticed that as well. Haven't looked into what the cause could be. First thought would be ABP.